You've been warned; your PBs will be blown away by the latest Triumph edition, the Triumph ISO2. 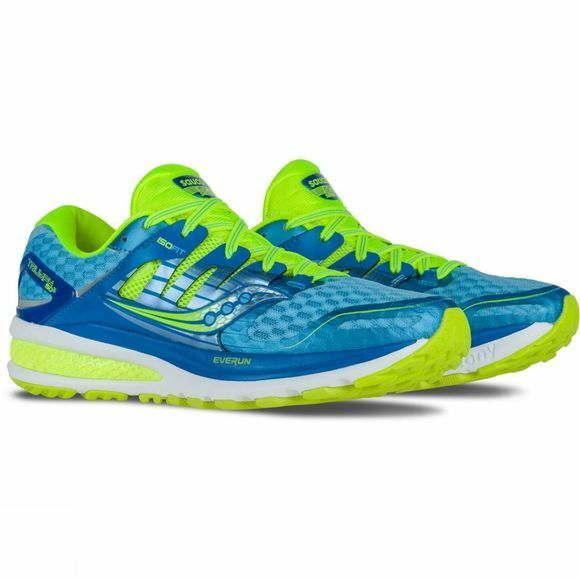 Featuring an EVERUN landing zone, TRI-FLEX outsole and ISOFIT upper, runners seeking supreme cushioning and a smooth, flowing ride need look no further. Glossary: ISOFIT: ISOFIT upper morphs to your foot for a sock-like feel, providing superiour comfort and allowing the shoe to move in harmony with the foot. RUNDRY lining: Collar lining that creates an amazing step-in feeling and helps guard against hot-spots and chafing during the run. 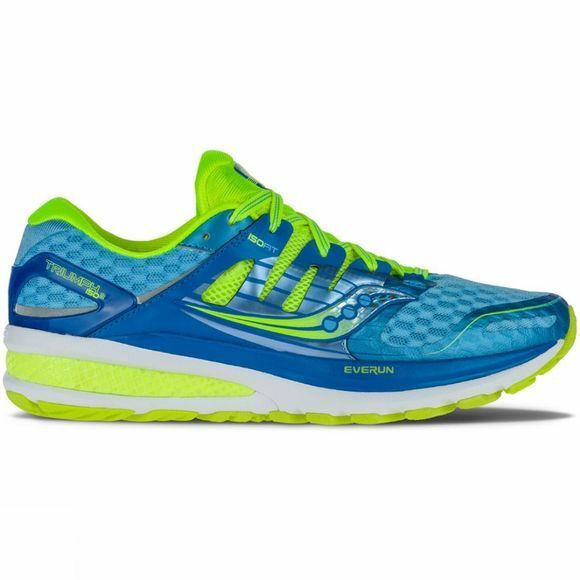 POWERGRID+: Cushioning that is lighter than gel, so it can be used to cover and protect the foot's entire surface area. XT-900 carbon rubber: Saucony's carbon rubber outsole material which offers exceptional traction properties without sacrificing durability.